The Galleria Area is the most cosmopolitan neighborhood in Houston. 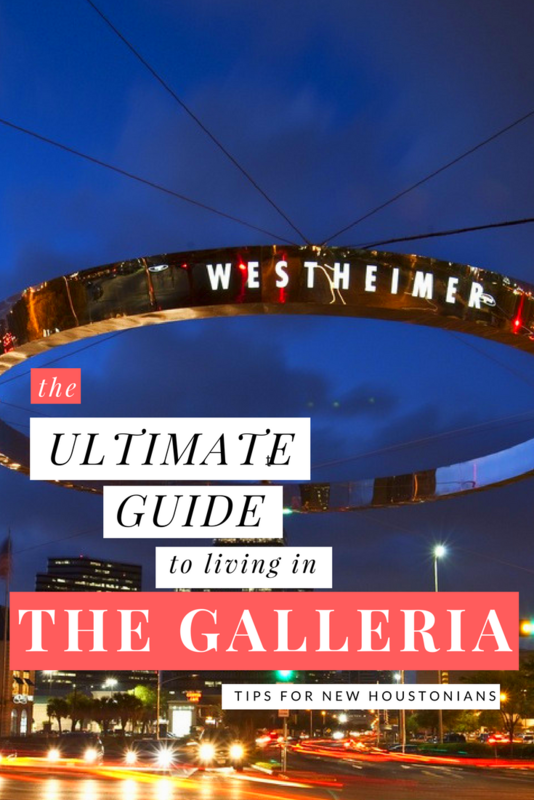 Centered around the massive Galleria Mall which is home to 400+ retailers, 50 restaurants, and an ice rink, the neighborhood is technically called Uptown, but not as many people call it that. For our guide will be defined as anything west of 610, north of Highway 59, south of Woodway and east of Voss Road. The neighborhood skyline is defined by the massive William’s Tower and is a large business district filled with hotels, retailers, oil companies, headquarters for many of Houston’s radio stations, bougie neighborhoods and apartment complexes ranging from ultimate lux to super sketch. With 15+ consulates in the area and the overall diversity of Houston, the Galleria Area is one of the most diverse neighborhoods in Houston for culinary adventures. Best Cajun Seafood: Pappadeaux — Yes, this is a chain, but it’s a Houston-based company! The original Pappadeaux is on Westheimer near Fountain View and Natalie worked there for 3+ years! Best Breakfast Taco: Chacho’s – There’s a drive thru!! Best Happy Hour: Beaver’s — We wrote about a different location here. Best late-night Pie: House of Pies — Yes! There’s another location! Best Spot to Watch the Houston Marathon: Post Oak Blvd. Galleria traffic is legendary and horrible. 610 should be avoided at all times of the day, but especially during rush hour because it’s a black hole that you may not emerge from for several hours. (Use Woodway or Richmond if you must — avoid Westheimer or San Felipe.) The stretch of Westheimer heading past the Galleria Mall is the worst with multiple stop lights that are not timed. Also, be wary when driving down Post Oak past the mall — shoppers are known to jaywalk across the crosswalks! For cheesy tourist pics, head to the Williams Waterall (aka “The Waterwall”) outside William’s Tower. There’s guaranteed to be a quinceañera or engagement photoshoot going on. Also, don’t miss Houston’s annual Turkey Trot on Thanksgiving or the Christmas tree lighting on the Galleria Ice Rink. Speaking of Galleria, for most of us inner-loopers, this is the only mall within a few miles of us, so, try as you might, it’s pretty hard to avoid completely. I recommend parking in the Orange garage or the Nordstrom garage — I tend to have good luck there. My strategy has always been to park and walk — instead of trying to find the best garage closest to what store I’m trying to get to. For those of you unfamiliar, it’s a HUGE mall segmented and v counterintuitive. Consult the maps at the entry ways, no one will judge you one bit. In addition to running through all the beautiful Tanglewood homes, you can easily access Memorial Park by taking a quick jaunt under 610 at Woodway. The Hogg brothers donated Memorial Park to the city of Houston back in the day and a stretch of it still technically exists on the west side of 610. They were not too please when the highway came through and split up the donated land. If you’re looking for a chic space to call home, look no further than Alexan 5151. We didn’t realize how badly we needed to live in an Instagram-worthy apartment until we visited! The mid-rise is located at 5151 Hildalgo St. in the desirable Uptown District and only one block from The Galleria. Shopaholics beware – several of the views include the Nordstrom logo to remind you that you’re never too far from the latest trends. The property is close to several area hot spots, but also has the perfect movie room for those who prefer to Netflix and chill. A quick trip to Whole Foods BLVD Place and you’re ready to host your own dinner party. Several floor plans include moveable islands with the freedom to utilize as floating counter space or to seat extra dinner guests. We hear some residents use theirs in lieu of a bar cart. Resident amenities are what really set Alexan 5151 apart from other Houston apartments. If lounging poolside is your scene, you’ll enjoy having access to two resort-style pools (one dubbed the “tranquility pool”) and poolside cabanas complete with flat screens. Feel free to kiss your gym membership goodbye with 24-hour access to the fitness center, which includes traditional cardio machines and free weights, as well as on-demand video fitness classes. Missed your yoga or cycling class? No worries, the flex space complete with stationary bikes is always an option. For those glued to their smartphones (guilty! ), Alexan 5151 offers a technology-driven lifestyle that includes Nest thermostat systems and video intercom, ButterflyMX™, that allows you to let guests up to your apartment with a few taps in an app. This is a great safety feature, especially for those who like to live sans roommate. Upscale living with an uptown address? We’ll take it. Alexan 5151 is a sponsor of this guide. Just can’t get enough? Here’s everything we’ve written about The Galleria Area. P.S. Click here to subscribe to our newsletter so you don’t miss out on our Houston adventures! See something we missed? Want to partner on this guide? Send us an email to info@itsnothouitsme.com.